Brighten a drab planting with the chartreuse green new spring growth of Nandina ‘Lemon Lime.’ Known as heavenly bamboo, ‘Lemon Lime’ is the first variety with a yellow-green coloration different from the many red hues of other cultivars. Providing contrast in evergreen landscapes, this foliage plant makes a great backdrop for your spring bulbs and blooming perennials. As summer heats up, the bright leaf color deepens to a grassy green. Perfect for those who are tired of trying to maintain large plants by constant pruning, this compact shrub’s maximum height is around four feet, so little maintenance is required. 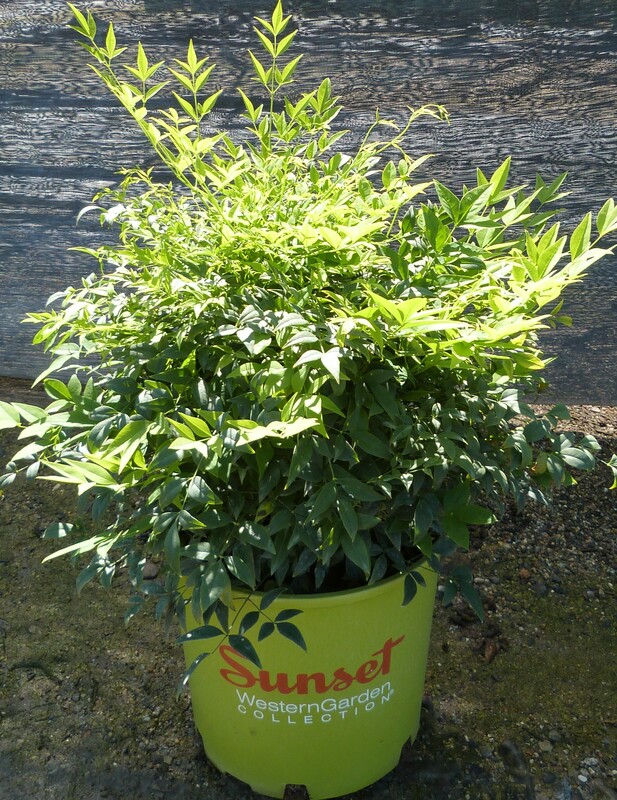 Growing at a moderate rate in full to part sun, the tough Nandina ‘Lemon Lime” is not at all fussy about soil. Deer resistant and free of pests and disease problems there’s a place in every garden for these easy care plants. Once established, Nandinas are drought-tolerant and need only occasional fertilization. Include this unique variety in mixed borders, alongside your foundation or use in a container grouping.